It’s almost Shop Small Season. 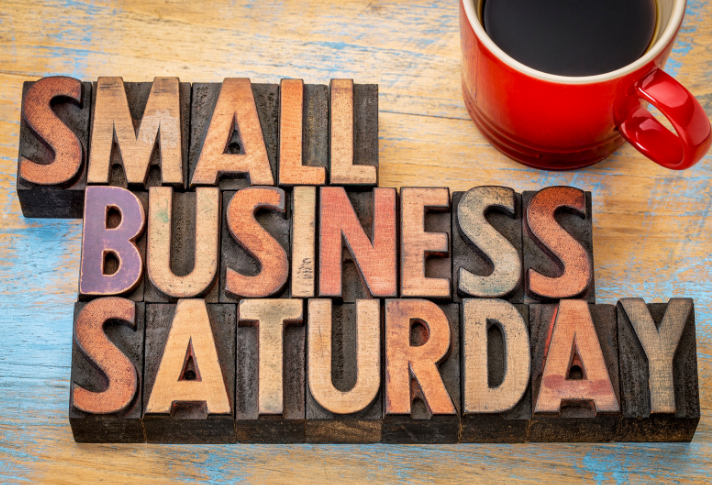 American Express launched Small Business Saturday in 2010 as a marketing effort to boost both its business and small, local retailers at a time when the industry was in recession. The idea was to give those retailers support, after the Black Friday mass market retail rush, by promoting the Saturday after Thanksgiving as a time for more leisurely holiday shopping at small businesses in their communities. The Shop Small Movement gains momentum as local officials begin to take notice and start to promote their towns’ businesses. The Senate also gives it a boost by unanimously passing a resolution in support of the day. Public officials, business groups, municipalities and nonprofit trade groups form a Small Business Saturday Coalition with the goals to encourage everyone to Shop Small. 100 Corporations lend their support to the movement. Officials in all 50 states participate. The Shop Small Movement gets a shout-out from President Barack Obama. There were more than 7,200 folks who signed up to be Neighborhood Champions across all 50 states. Small Business Saturday will be held around the country on Nov. 24. Promotional materials and information on how to get involved can be found at americanexpress.com. New this year are tips on starting a Pop-Up Market and organizing a Food Festival.